These large-scale, community events which were established in 2006 by the City of Phoenix Office of the Mayor, Phoenix City Council, and the Phoenix Fire Department, with support from Aetna Medicaid, Mercy Care, Paradise Valley Community College, Phoenix Fire Foundation, Arizona Burn Foundation, and the American Red Cross. 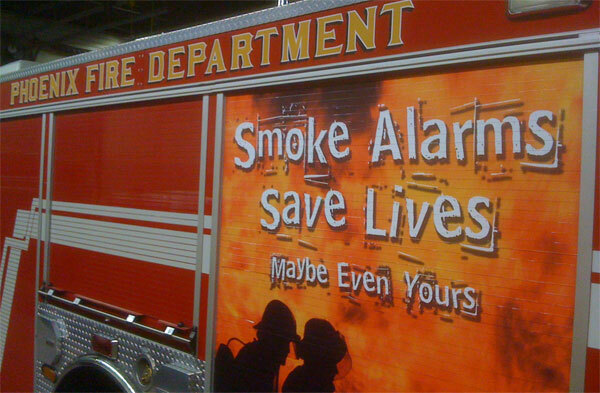 Twice a year Phoenix neighborhoods that may benefit from fire safety awareness and prevention are selected and smoke alarms are installed or replaced by trained volunteers. For more information call (602) 534-0953.